Hello hello! How have you all been? I hope you're all doing great, and also I wanted to say thank you for the kind comments on my previous post Living With a Never-ending Headache. I was quite anxious about posting it but now I'm so glad that I did. Finally getting it out was a heavy weight sort of lifted and I want to continue sharing my process (not sure what to call it) with you. So with that said I'm going to head into today's post, my May favourites! Garnier Fructis Sleek & Shine Anti-Frizz Serum - I bought this not too long ago when I was looking for something to help keep the frizz in my hair down. Now my hair isn't extremely frizzy but some days it just doesn't seem to want to look decent. I generally don't have time to style my hair in the mornings, I just brush it out and go. I use this serum after washing my hair (I wait a little bit so it is damp) and then I use a brush to spread the product evenly. In the morning my hair is soft, silky and shiny and smells great! The scent reminds me of melon and it isn't too strong. This costs around $6.99 from Priceline (I'm pretty sure you can buy this in most stores). I have definitely been liking this product recently! Elizabeth Arden Green Tea Body Cream - If you live in Australia you would be pretty familiar with the unpredictable weather between seasons. One minute your toes feel like they're going to fall off and the next minute you're melting. So for a couple of months it's been starting to get cold (at least where I live) but then all of a sudden it's summer again. Anyways, back to the cream! Since it's been getting colder recently and the humidity has dropped, my skin as been slightly drier. I'm not usually a body lotion/cream person because they feel too tacky on the skin. But when I was in Norway, both my sisters and I received this pretty nice sized Elizabeth Arden body cream for Christmas and it is absolutely amazing! It smells so good too! My mum isn't a lotion person either but she's been borrowing our creams because she loves it so much! She recently bought her own in the lotion but same scent and loves it! Super moisturising and it sinks in super quick. When it sinks in it doesn't dry to the point where you feel like it didn't even do anything. It sinks in enough to not feel it but still feel moisturised. Absolutely loving this cream! Clinique All About Eyes - So, I never really thought I had any bags or circles under my eyes, but it turns out I can get incredibly blue under my eyes. This is probably due to the lack of quality sleep I get as I struggle with falling asleep and staying asleep. My aunty gave my sisters and I a lovely gift pack each of some Clinique skincare products and I loved the cleanser, toner and makeup remover. However, the moisturiser didn't really sink in on me (my sisters loved it on their skin) and I rarely reached for the eye cream because I guess I didn't think about it. Recently I've been using this under my eyes and I have to say my eyes do look a bit better after using it. I put it on before bed and sometimes in the morning. I've really been liking this product and if it wasn't for the price I would probably buy it when I finish. 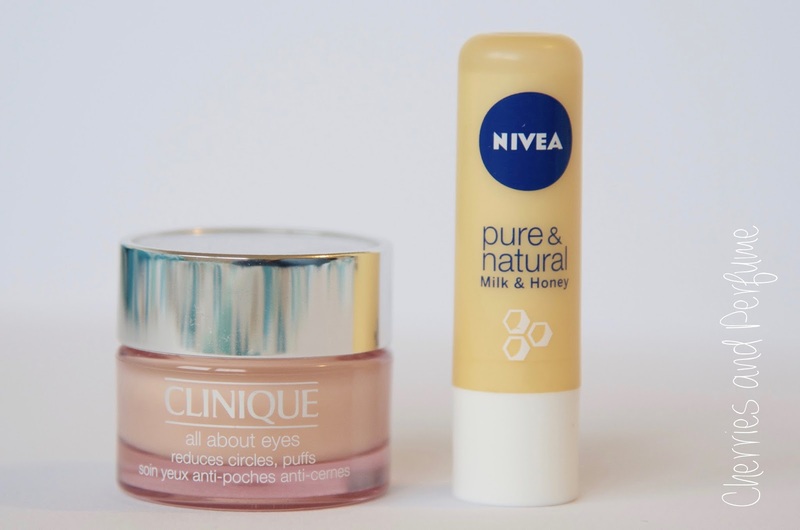 Nivea Lip Balm - As I mentioned before, the weather has been getting colder recently and my skin has been getting drier, the same goes for my lips. Now usually I don't get dry skin or dry lips, but the combination of cold weather and the acne treatment I'm on (extremely drying) my skin has definitely become very dry. So I've had to moisturise more than usual and apply lip balm all the time. This Nivea lip balm is nice and moisturising with a subtle and pleasant scent. I love Nivea lip balms and they're generally under $4 from pretty much any store. 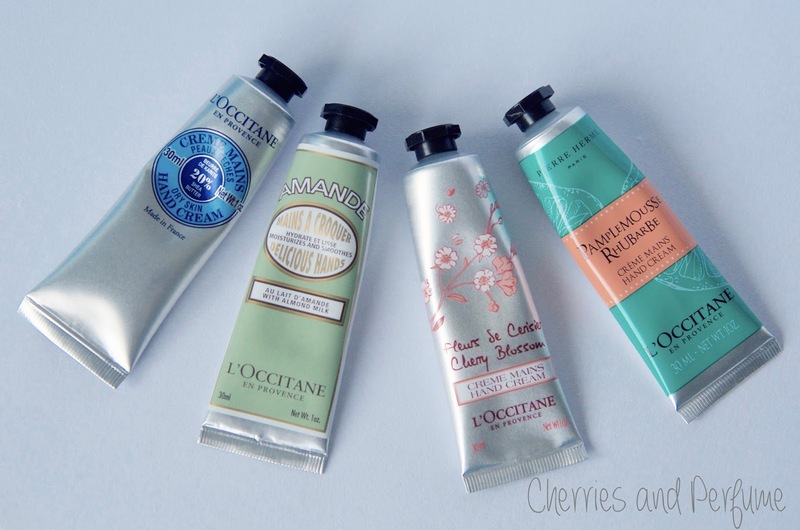 L'Occitane Hand Creams - Continuing on with the dry skin theme I have going on here, recently I've been reaching for these hand creams a lot. My sisters and I received a trio of lovely L'Occitane hand creams from our uncle and his family and another hand cream (and lip balm) from our other uncle and his girlfriend. Hand creams can be a bit of a hit or miss for me because like I said earlier, I really don't like the tacky feeling of some lotions. But these are most definitely my favourite hand creams ever. They are so moisturising and not sticky at all. 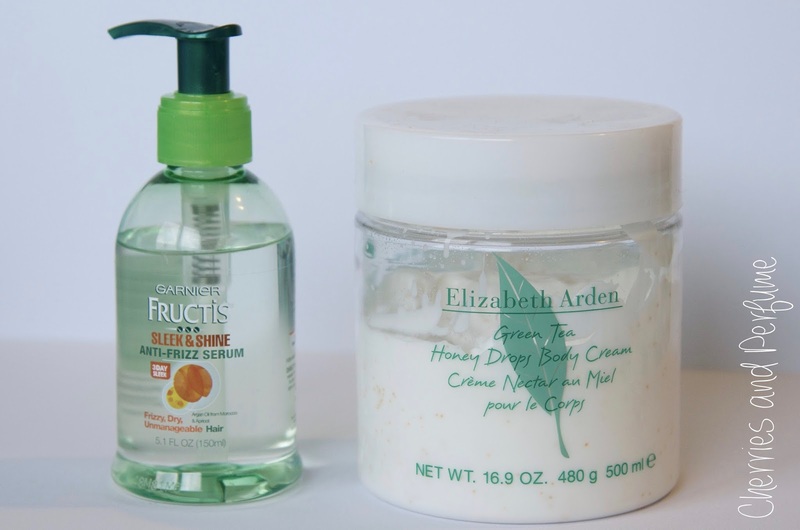 The cream furthest to the left (Dry Skin Hand Cream) is thicker than the other three so it's better for drier skin. I've been swapping between all of these and will definitely continue to use them! 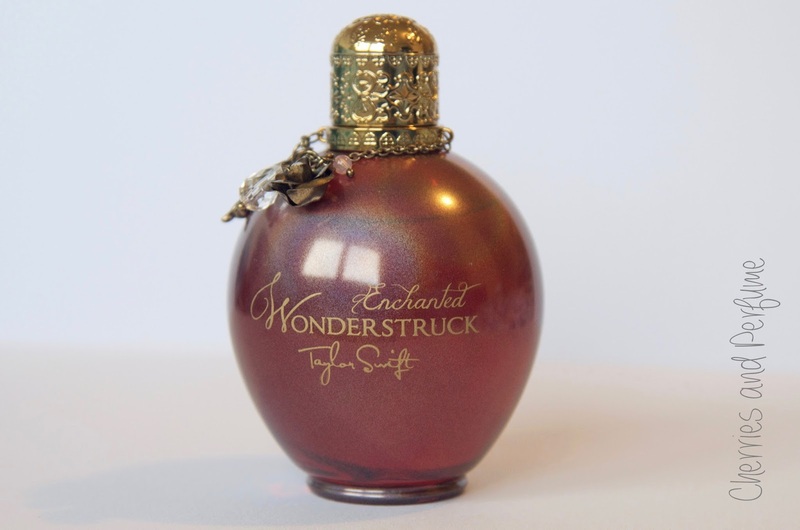 Wonderstruck Enchanted Perfume - I bought this just after my birthday (also why I love May, my birthday is on the 12th!) and I seriously am in love with this perfume! I love perfumes, body mists and all that good stuff and I always switch around what I'm wearing. I haven't worn only this perfume during May but at the moment it's probably my favourite! I got mine for a really good deal at the chemist, the perfume came with a lotion, a shower gel and a little incense thing for $30 total. 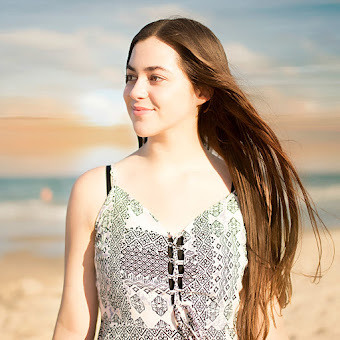 So I haven't done a favourites post in a very long time and I hope you enjoyed reading it! Let me know in the comments something that you loved during May! 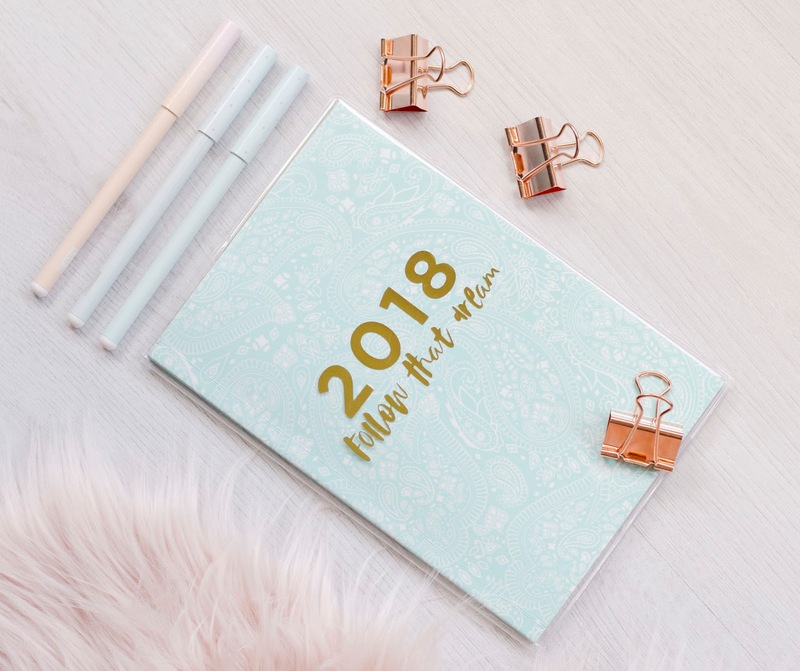 Great list of products and pictures. Will check them all out! Amazing post dear and great stuff. I follow you No.36.Please visit my blog and check my new post.